Rienk Bouke Kuiper was the sixth of eight children born to Dominie Klaas Kuiper of Garrelsweer, the Netherlands. The family moved to Grand Haven, Michigan in 1891 when the Dominie accepted the call to the Christian Reformed congregation there. R.B. Kuiper graduated from the University of Chicago (A.B., 1907); Indiana University (A.M., 1908); Calvin Seminary (diploma, 1911); and Princeton Seminary (B.D., 1912). He served as the pastor of several Christian Reformed and one Reformed congregation in West Michigan. 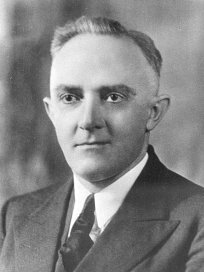 accept the school's presidency in 1930.During his tenure the economic impacts of the Great Depression began to be keenly felt. Although enrollment did not decline, partly because there were no jobs for young people so they pursued education, the downturn forced the college to cut costs and expenses. Faculty voluntarily took pay cuts, as high as 40 percent. Kuiper also found it difficult to mediate the growing differences of opinion among faculty and between faculty and the Board of Trustees over the school's direction. Since he felt called to be a minister, in 1933 he accepted a teaching and preaching appointment at Westminster Seminary. Retiring in 1952, he returned to Grand Rapids and then accepted the presidency of Calvin Seminary for four years. Kuiper married Marie Janssen in 1911; they had three children Marietta Rolena Heerema, Dr. Klaudius Kuiper and Kathryn Junia Kuiper, who died at age two. A prolific writer, Kuiper's books include: As to Being Reformed, Not of the World, and The Glorious Body of Christ.